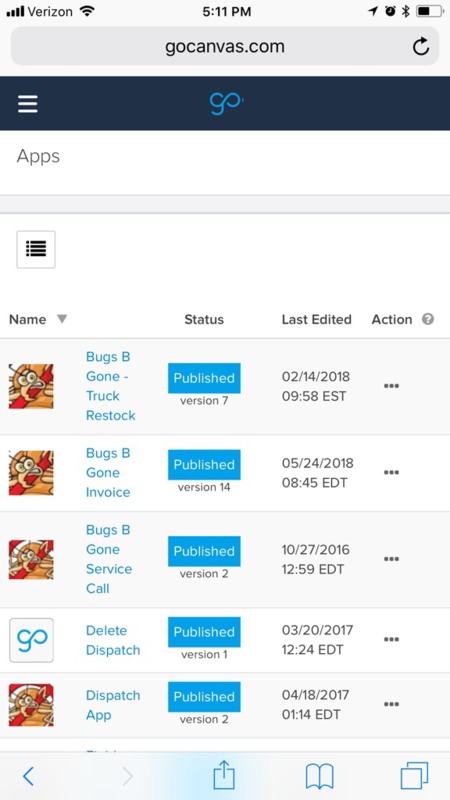 This past weekend we added a brand new field to the App Builder, a new Workflow report, and our first mobile responsive pages for logged in users. We also did more work around our enhanced submission search functionality, which is now ready for beta testing. We have not added a new field to the App Builder in a little while so we felt it was time. 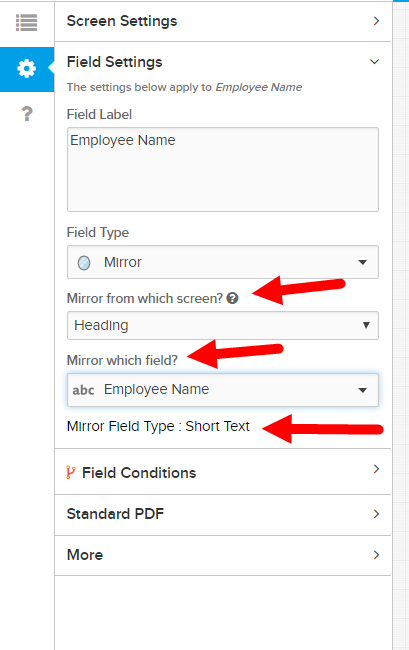 The Mirror field will let you automatically copy a value entered in a previous field. So if your mobile user enters information on the first screen and then needs to reference that data again on the 10th screen you can use the Mirror field to copy that data onto the 10th screen. This is all about saving your mobile users time out in the field so they can work faster and more efficiently. The Mirror field will also mirror the field type so if you are mirroring a Date then it will be a Date field (Behind the scenes!). Once you drag a Mirror field onto your workspace you will need to choose the field that you are wanting to mirror. You will choose the screen where the field is located first ("Mirror from which screen?") and then you will choose the field on that screen ("Mirror which field?"). Note that we also call out the "Mirror Field Type" for you, too. That's it! You still have functionality you're used to having. You can create Conditions. 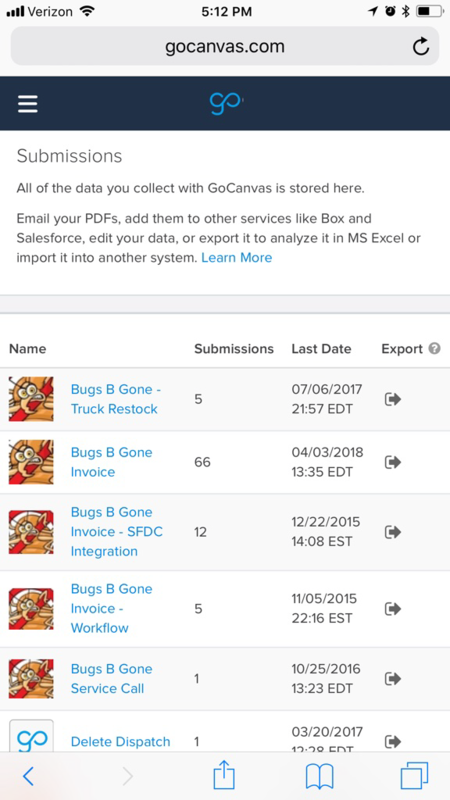 You can hide the fields on the PDF, set up export labels, etc. On the mobile device the fields CANNOT be edited. The fields behave like Calculation or Static Text fields where you cannot edit the value of the field. If you change the value in the field you are mirroring then the value of the Mirror field will update. Read our Help topic to learn more. We added a Dispatch Export Report some months ago. We have now added a similar report for Workflow. You will find it in the same place as the Dispatch Export. You now have two options on the export page. 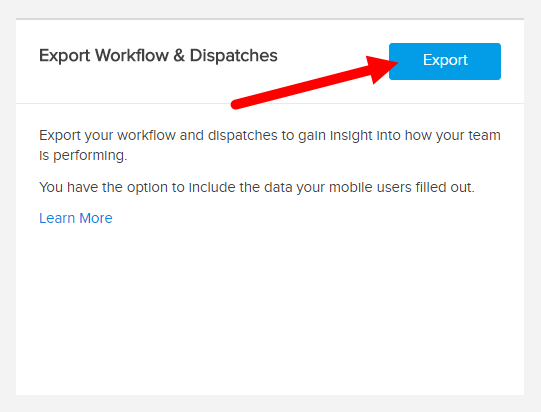 You can export Dispatches or Workflows. 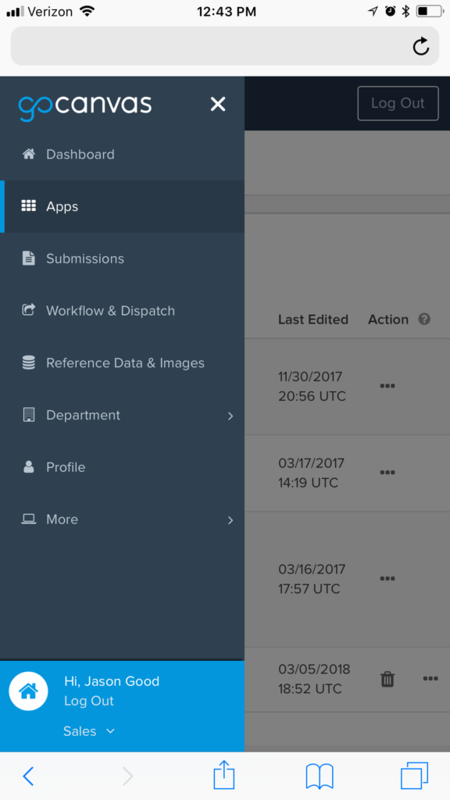 When you export Workflows you will also get the submission data (If there is any yet) associated with the workflow. This will allow you to do some analysis on your Workflows. You can see which ones are not completed, how long they took to complete and more. You can open this file in Excel and quickly assess where you might have outstanding handoffs. "Mobile Responsive" is a term that just means that if you browse a web page on a mobile device (phone, tablet), then the page adjusts so you can more easily navigate the page. We have been working for a long time now on making our site mobile responsive so folks visiting us on their phone or tablet browsers can more easily understand what we do. 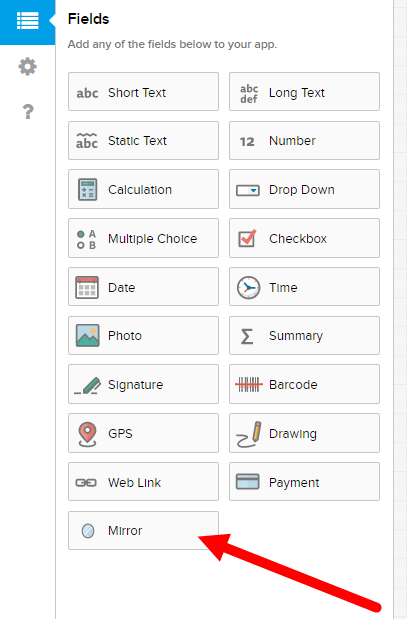 Our side navigation menu pops up when you push the menu button in the top navigation bar (3 horizontal lines). Lots and logs of other pages are not yet mobile responsive. So if you visit these pages and then click on a link to go to another page you won't be on a responsive page anymore that is optimized for using your mobile device. But we are getting there! We are finally ready to turn this on for customers who want to beta test this. We have made a major upgrade to our search engine that is used when you are searching for submissions. Only the basic search has been upgraded so far. If you're interested in being a beta tester please email us at feedback@gocanvas.com. Visit our Community to provide your feedback! We love hearing from you. Thank you for reading all the way down to this very last sentence, too.